Ringel Film was founded in 2011 by producer Gian-Piero Ringel and his business partner Wim Wenders. The company was initially registered as Neue Road Movies Zweite GmbH and renamed in 2016 to Ringel Film. Gian-Piero Ringel is since then the sole owner and managing director. He also co-founded Neue Road Movies GmbH with Wim Wenders in 2006 and was a managing partner there for 10 years. Gian-Piero Ringel produced and co-produced (through Ringel Film GmbH and Neue Road Movies GmbH) films by Wim Wenders, Robert Redford, Jim Jarmusch, Michael Glawogger, Angela Schanalec, Erik Skjoldbjærg, Bobbie Peers, Karim Aïnouz, Michael Madsen, Margreth Olin, and Filippos Tsitos. His films premiered in competition at all major film festivals including Cannes, Venice, Toronto and at the Berlinale. 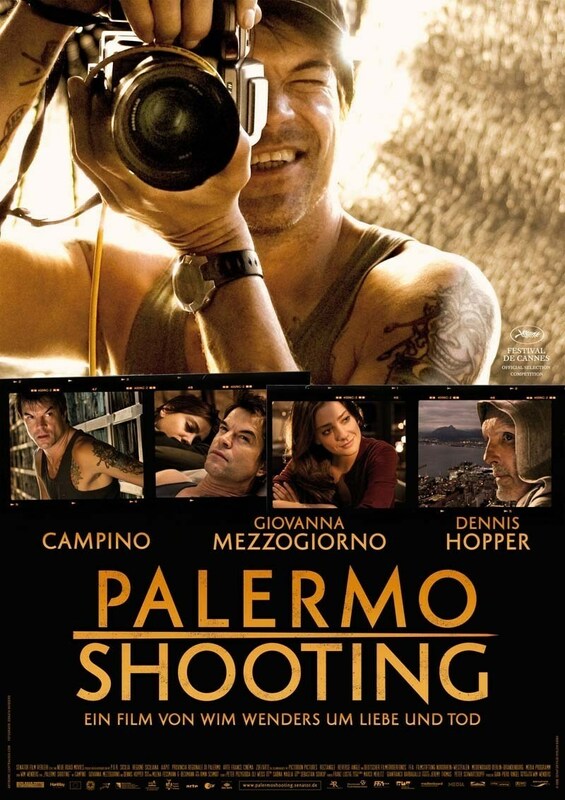 Gian-Piero Ringel is a BAFTA and Academy Award nominee and winner of the German and European Film Award. In addition to being a member of the European, British and German Film Academy, Ringel is a board member of the German Film Producers Association (VDFP), where he oversees innovation initiatives. He is also the co-founder of the FilmTech Office, a co-working space for creatives and entrepreneurs in film, storytelling and tech. Set in Nairobi, Anna & Mercy tells the story of two very different women: Anna, a foreign correspondent, and the dynamic powerhouse that is Mercy, a local woman from the slums, and their push-me, pull-you relationship is at the core of this emotionally powerful story, against a backdrop of Aids in Africa. A pyromaniac ignites his first fire in a peaceful village. In the weeks to come it is followed by a series of fires, spreading fear in the small community. An inferno lurks under the surface as a local policeman uncovers the unthinkable truth: the pyromaniac is one of the local firemen, and the son of the fire brigade’s chief. 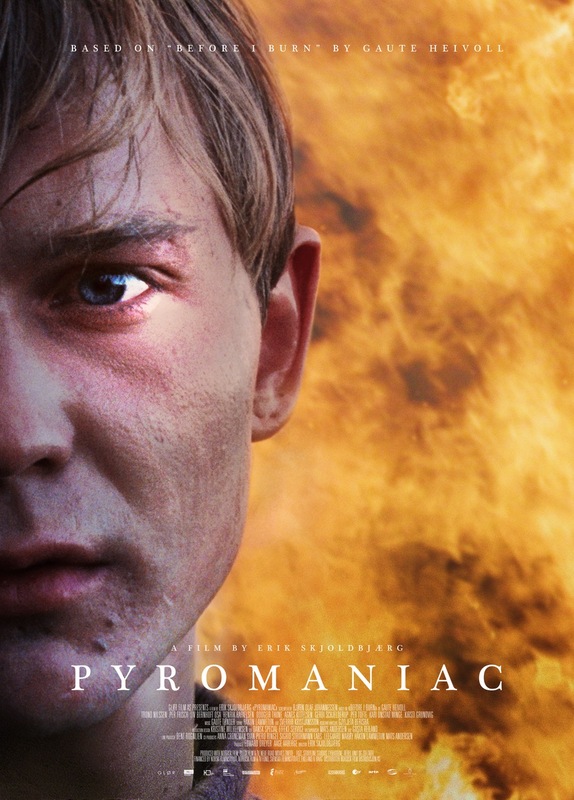 The film is an intimate portrait of the pyromaniac and the fireman, as they dual for control of the young boy’s mind. A beautiful summer´s day. A garden. A terrace. A woman and a man sit at a table beneath the trees. A conversation unfolds about sexual experiences, childhood memories, the essence of summer and the differences between men and women. It illustrates both, feminine perspective and masculine perception. With The Beautiful Days of Aranjuez, Wim Wenders stages the play by his longtime friend Austrian author Peter Handke. In mid–winter the illusionist Dirk Ohm (August Diehl) arrives in the small town of Grong, a place ridden by the disappearance of a young local woman – Maria. Dirk soon finds himself searching for Maria side by side with the villagers of Grong; and slowly he falls in love with the missing woman. Dirk Ohm – the illusionist is told in a magical and poetic landscape. It challenges our perception of what’s real and what’s not, who we are when we are present and who are we when we are gone. The film is inspired by the real-life disappearance of German illusionist Dirk Ohm in Grong, North Trøndelag, in 2003. “If buildings could talk, what would they say about us?” Cathedrals of Culture offers six startling responses. This 3D film project about the soul of buildings allows six iconic and very different buildings to speak for themselves, examining human life from the unblinking perspective of a manmade structure. Six acclaimed filmmakers bring their own visual style and artistic approach to the project. Buildings, they show us, are material manifestations of human thought and action: the Berlin Philharmonic, an icon of modernity; the National Library of Russia, a kingdom of thoughts; Halden Prison, the world’s most humane prison; the Salk Institute, an institute for breakthrough science; the Oslo Opera House, a futuristic symbiosis of art and life; and the Centre Pompidou, a modern culture machine. Cathedrals of Culture explores how each of these landmarks reflects our culture and guards our collective memory. Set against the romantic desolation of Detroit and Tangiers, an underground musician (Tom Hiddleston), deeply depressed by the direction of human activities, reunites with his resilient and enigmatic lover (Tilda Swinton). Their love story has already endured several centuries at least, but their debauched idyll is soon disrupted by her wild and uncontrollable younger sister (Mia Wasikowska). Can these wise but fragile outsiders continue to survive as the modern world collapses around them? Sotiris is a detective working for the police in Athens. One day he decides to switch to vigilante justice: if someone goes to prison or is released from custody he now decides solely relying on his own perception of justice. When he kills a corrupt security man in order to prove the innocence of an inmate, the cleaning lady Dora is the only witness of this crime. In spite of his dependence from her and her lacking compassion he still sees her as his only accomplice. And while the honest Sotiris falls in love with the ruthless Dora, he does not realise that his boss increasingly suspects him to be the murderer. PINA is a film for Pina Bausch by Wim Wenders. The feature-length dance film was shot in 3D with the ensemble of the Tanztheater Wuppertal Pina Bausch and shows the exhilarating and inimitable art of the great German choreographer who died in the summer of 2009, inviting the viewer on a sensual, visually stunning journey of discovery into a new dimension: right onto the stage of the legendary ensemble and together with the dancers beyond the theater, into the city and the surrounding industrial landscape of Wuppertal – the place that was the home and center of Pina Bausch’s creative life for more than 35 years. Loosely-linked scenes in the hall of Paris' Orly airport. A man and a woman, both French but living abroad, meet each other by chance. A mother and her almost adult son are going to the funeral of her ex-husband, his father. A young couple is embarking on its first big trip. And a woman reads a letter from the man she has recently left. They are all waiting for their flight. The departure hall is a place of transit. People are between the here and there, between the "not yet" and the "no more". Schanelec places four couples amid the crowds of waiting passengers; the camera observes them, often from a distance. But their conversations can be heard; the ear is closer than the eye. Intimate islands of dialogue amid hectic activity. A farewell film.